Jones started her time in HISD as a dispatcher in January 1974. It didn’t take long for her supervisor – the then-director of maintenance – to see her value. After working with her a short time, he noted her work performance and asked her to be his secretary and she agreed. And the rest is history. 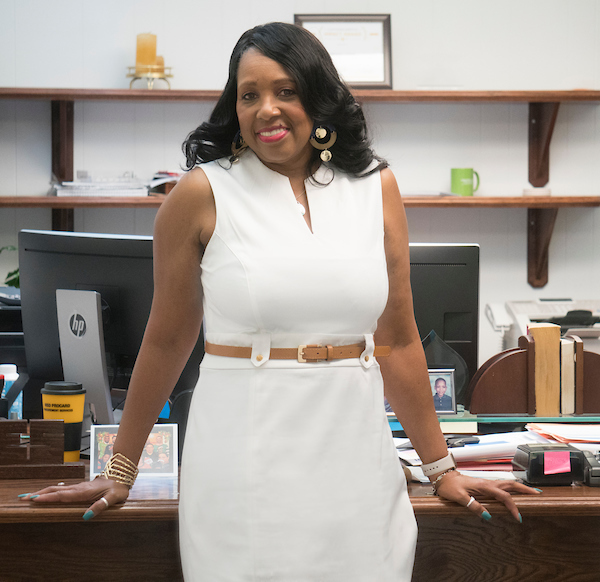 For the last 16 years, Jones has worked as the senior administrative assistant to General Manager of Facilities Maintenance and Operations Alfred Hoskins. The department is responsible for ensuring all district facilities are maintained and running properly. Hoskins said he could not have asked for a better person to assist him. “She is always on time, makes sure everything is done right, is professional, and loves her job,” Hoskins said. Last year, Jones was recognized for her tireless support when she was selected as one of Business Operations’ first Customer Service Impact Award winners. Jones’ dedication and work ethic are clearly a legacy that she has passed onto her two children, both HISD graduates. Her daughter —a teacher at Montgomery Elementary — was even named 2019 Teacher of the Year for the campus. The woman who loves to help, not surprisingly, has no plans of retiring anytime soon.